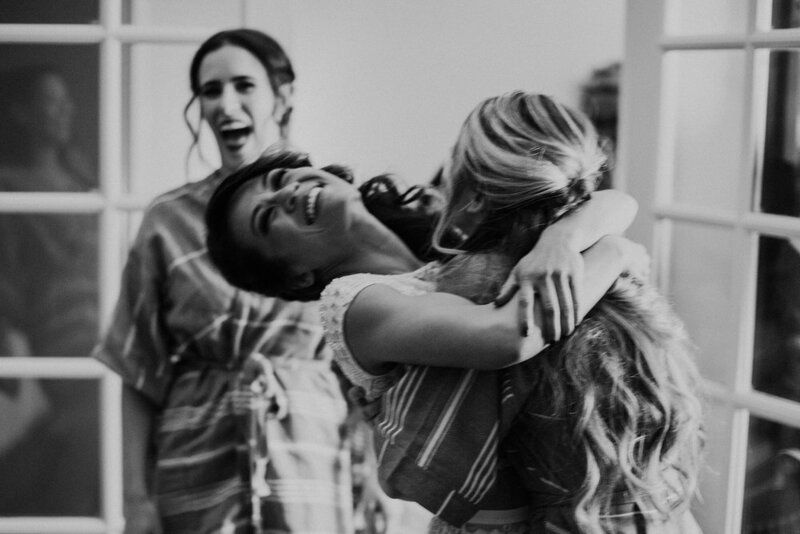 If you’ve been following us for a while you’ll probably be familiar with those bridesmaids who broke the internet! 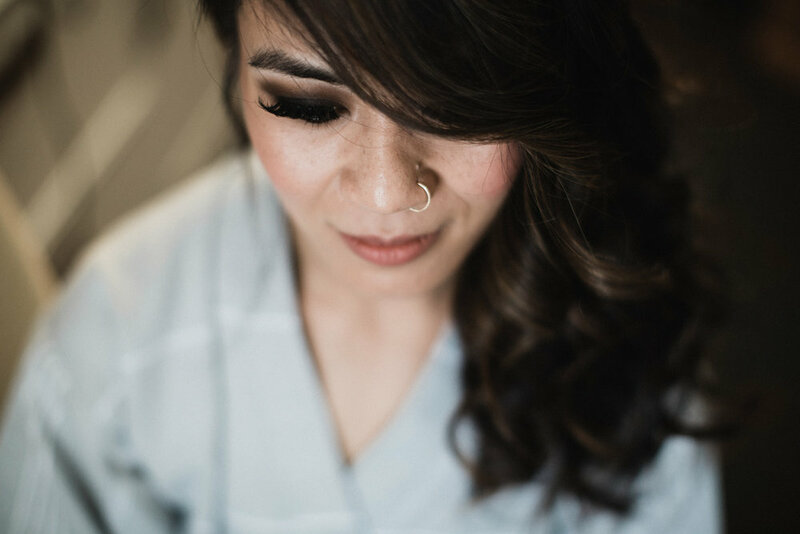 Devin’s bridal party, with their colorful mismatched dresses, dreamy boho hair and painted tambourines have been featured on just about every bridal account the world over at this point, so don’t be surprised if today’s beautiful bride, Valentine, looks familiar! 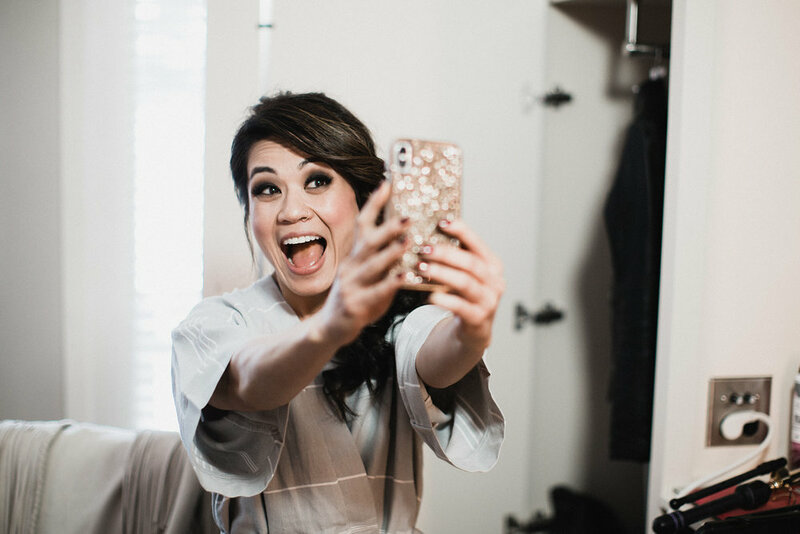 We met Val through Devin, and since she and her fiancee both live in DC and work in Asia nine months out of the year, they knew that they were going to need more than a little help planning their ideal celebration! 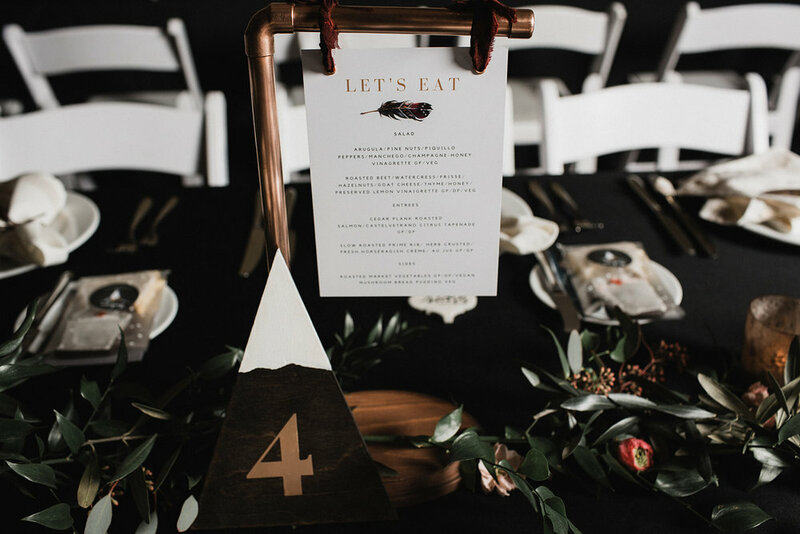 Born and raised in Puyallup, Val wanted a location that screamed ‘Pacific North-West’ and would provide a really authentic WA experience for Joe’s family and friends who’d be traveling from Texas. 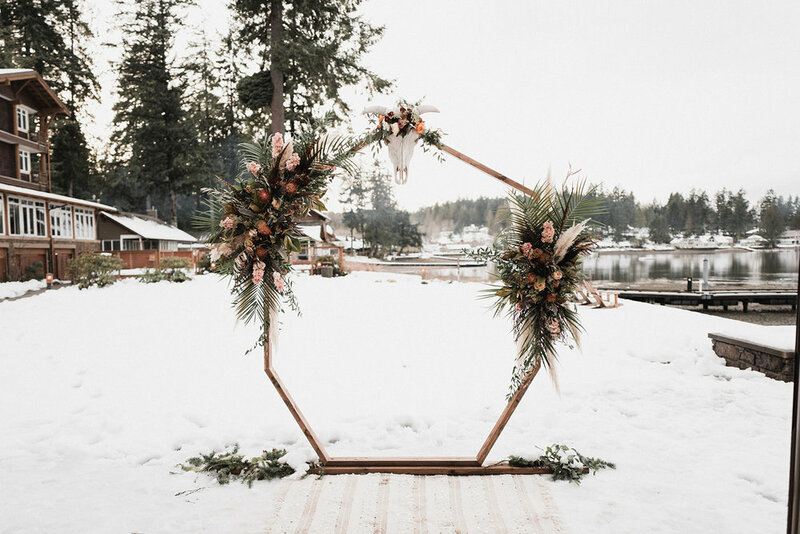 While the couple admitted that their dream wedding would probably take place outdoors, their work & travel restrictions meant that a summer wedding was out, and so we set to work finding a venue that would offer the spectacular views they were craving, but be practical for a winter wedding. 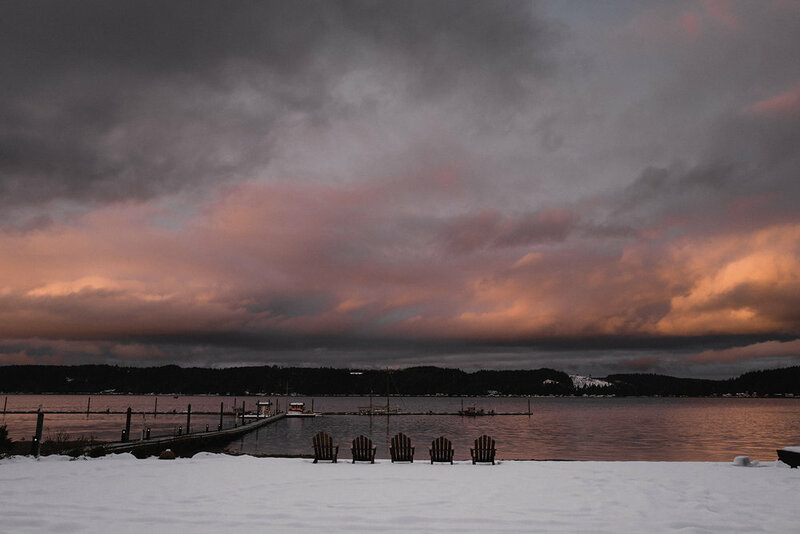 Alderbrook Resort & Spa in Union, WA provided the perfect backdrop. 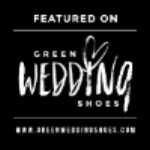 We actually dropped in to look at it on a whim, after visiting a venue down the road that didn’t work out, and it’s fair to say that Joe was smitten from the start! While Val and I regarded the ballroom suspiciously, wondering how to put her boho/southwestern stamp on it, Joe beamed from ear to ear, excitedly selling the venue to us.. I’m still not convinced he wasn’t on commission! 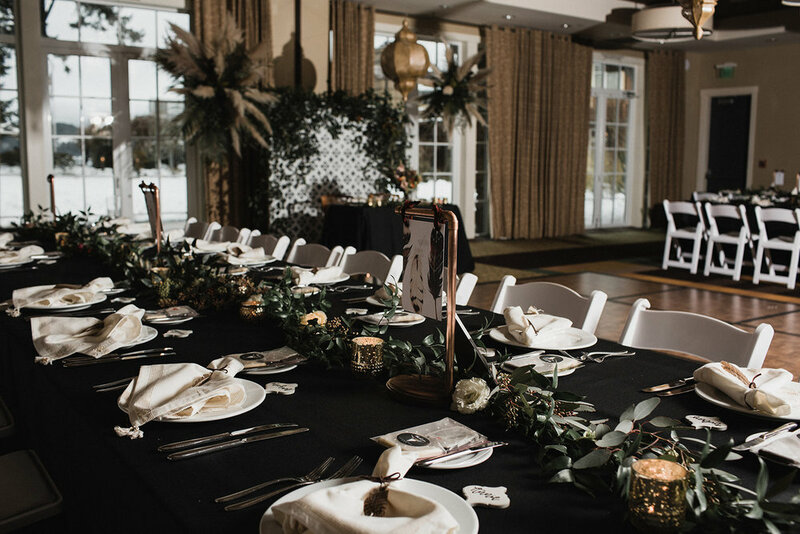 Alderbrook’s waterfront location with incredible views of the Olympics were what really sold this venue. 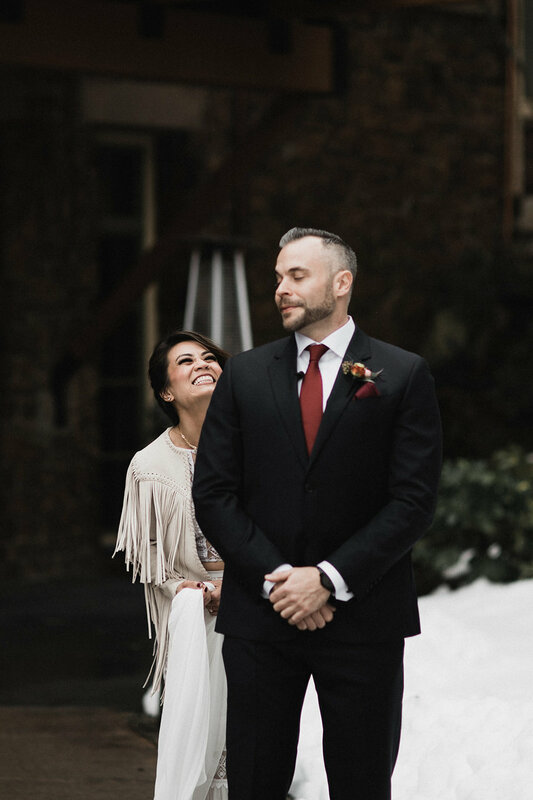 The ceremony site offers an undercover heated patio meaning that come rain or shine, it was possible for the couple to get married outdoors, something that had always been Val’s non negotiable. As it turned out the day was bright and sunny but the recent snowstorms meant that the venue had quite a bit of work to do to get the location ready, including knocking down several snowmen! 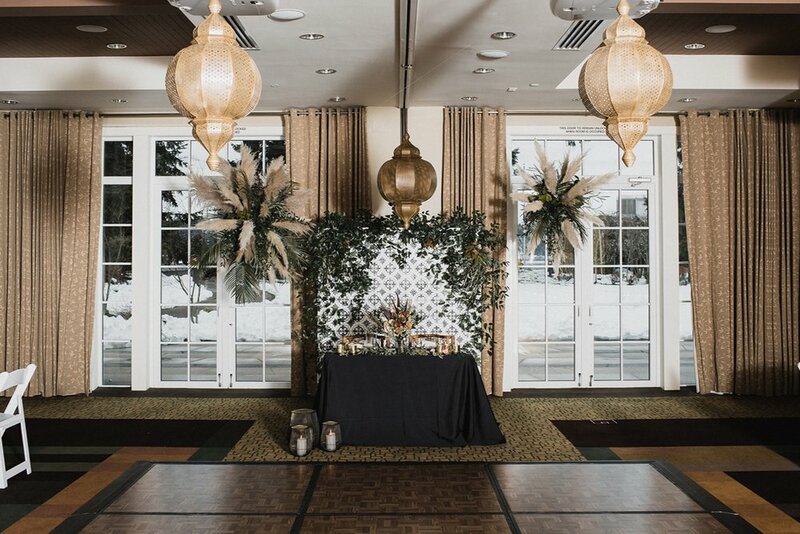 From a design perspective we knew that Val loved feathers, cow skulls and moroccan elements and so we wanted to design a ceremony backdrop that would fuse all these elements together while still allowing the scenery to shine. 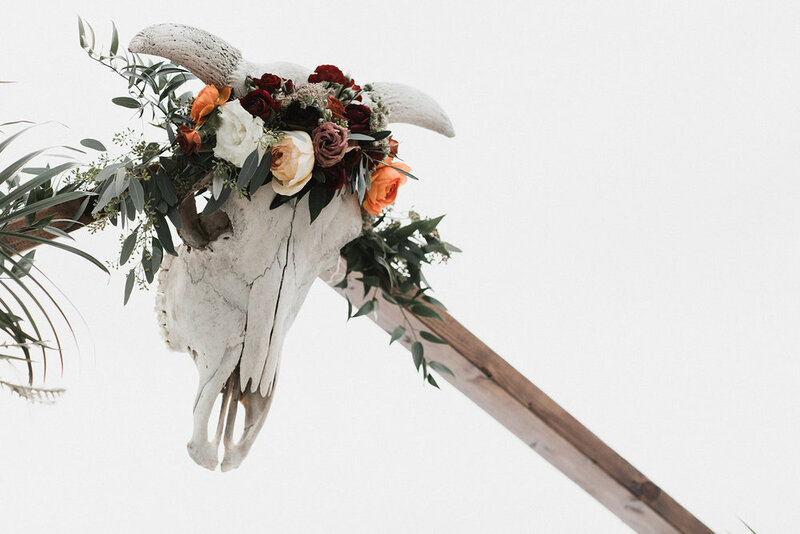 Val’s talented cousin built the hexagonal arch, the skull was borrowed from a bridesmaid and one of our favorites, Colibri Blooms created the incredible installs. The Moroccan wedding blanket had come from my recent trip to Marrakech. 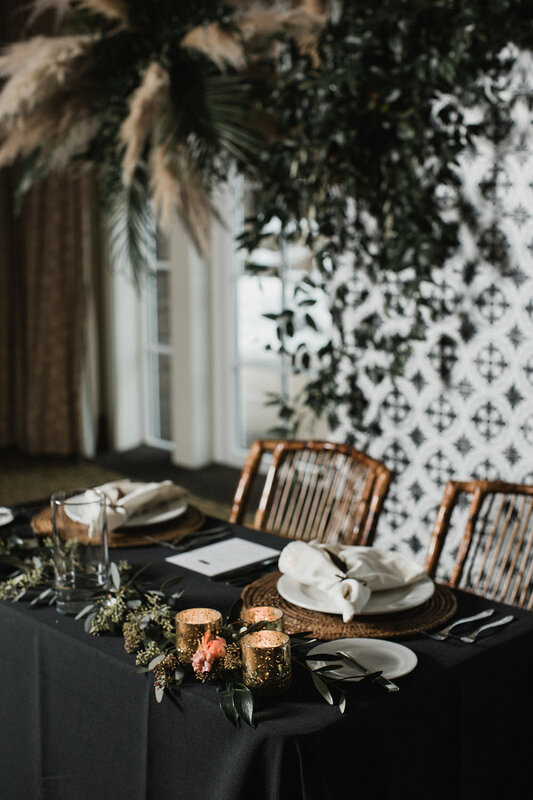 We continued these themes into the tablescape styling, with a mixture of feathers, moroccan tiles, and fringed napkins fused with vintage candle holders to create a look that felt eclectic and modern. Val made sugar cookies in the shape of WA & TX as favors, as well giving guests postcards made from some of her photographs. 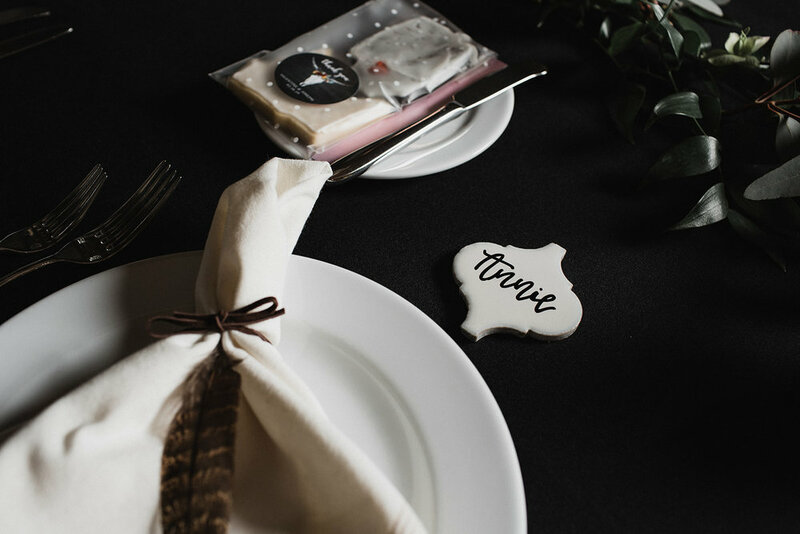 We’d heard on the grape vine that she was a talented photographer and thought this would be a really nice to way to incorporate her skills into the wedding decor. Go check out her work here! 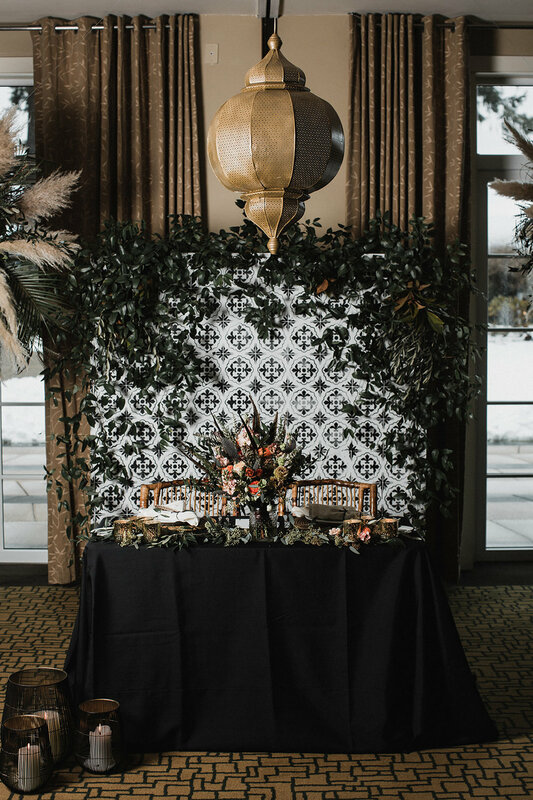 The sweetheart table provided a focal point in the room and we hand painted a moroccan tile inspired backdrop to sit behind it as well has hanging metal lanterns alongside Colibri Bloom’s spectacular dried grass installations. 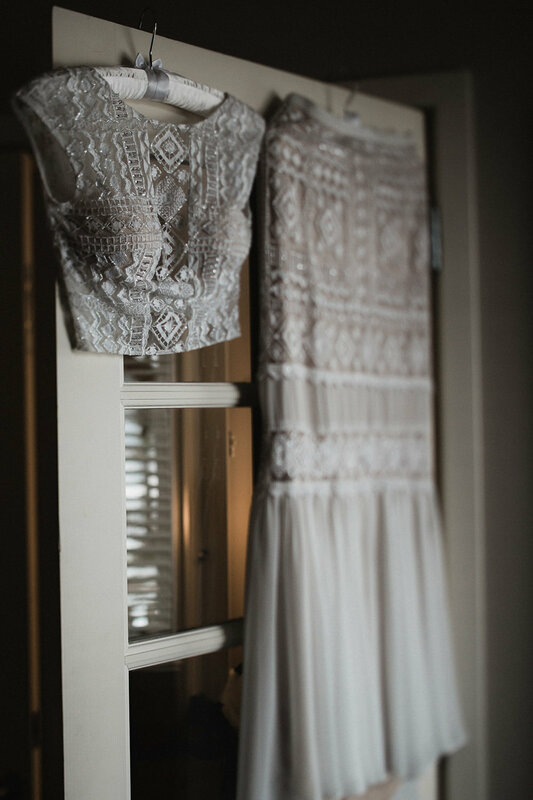 Val chose the incredible Pacific Brides to create her breath-taking side-swept braid and seductive make up look which perfectly complimented her intricate Limor Rosen lace gown. One of the highlights of this wedding was the opportunity to work with Sullivan & Sullivan Studios. 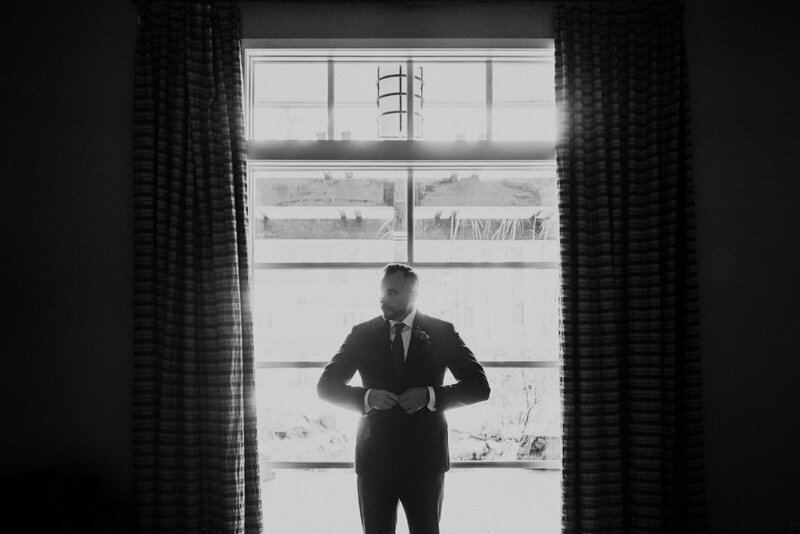 Their editorial style takes all the cliche out of wedding photography, case in point, these moody AF portraits they took of Val & Joe right before the first look. 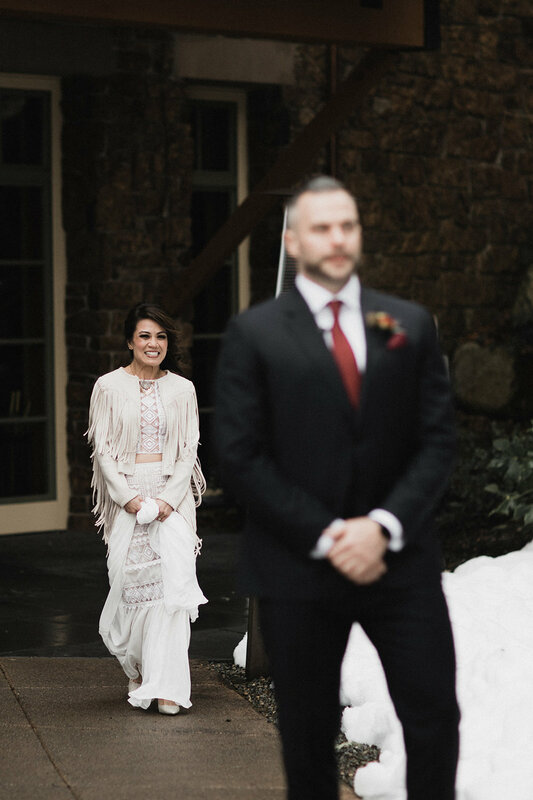 Would it be weird for me to frame someone else’s wedding photos and put them on my wall?! Also, this has to be one of our favorite first looks ever ‘cos, THAT reaction!! Scroll through for all the heart-warming goodness! 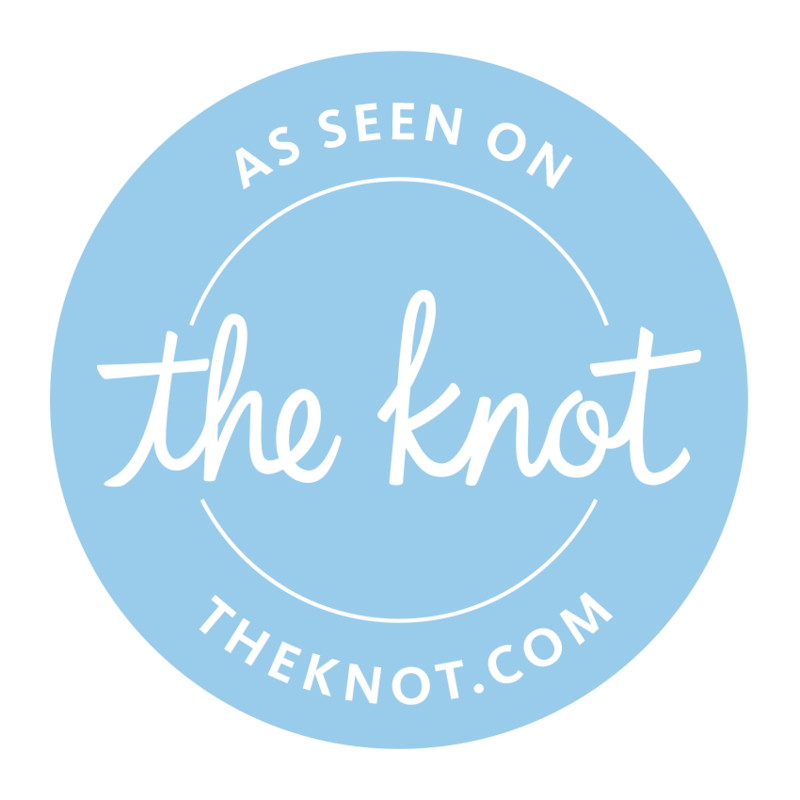 Val walked down the aisle alone and her brother Zach, officiated the short & sweet ceremony, during which the couple chose to turn off their mic’s and read their vows only to each other. It was something we had never seen done before and it was surprisingly emotional. You might think it would be strange sitting in silence, unable to hear what the couple was saying, but in reality it made you feel as though you were witnessing something very intimate and special. 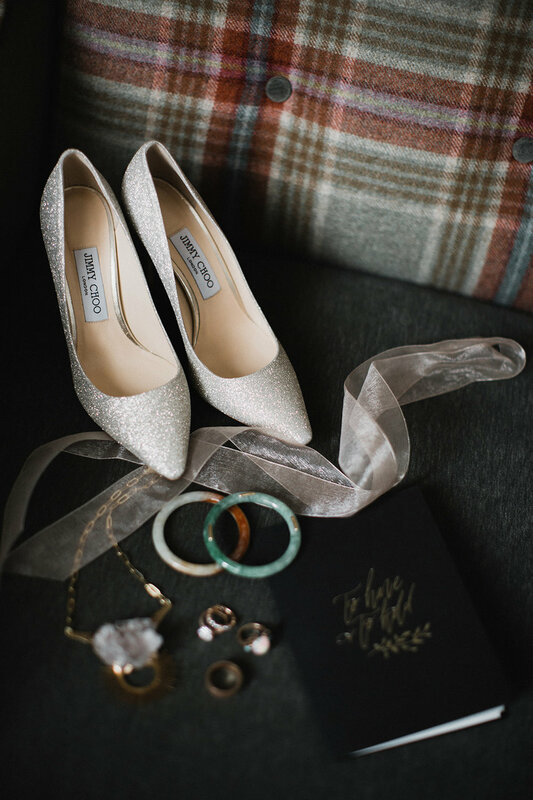 Check out that spectacular bouquet! This custom leather jacket from Opal Milk has to be one of our favorite bridal jackets of all time. 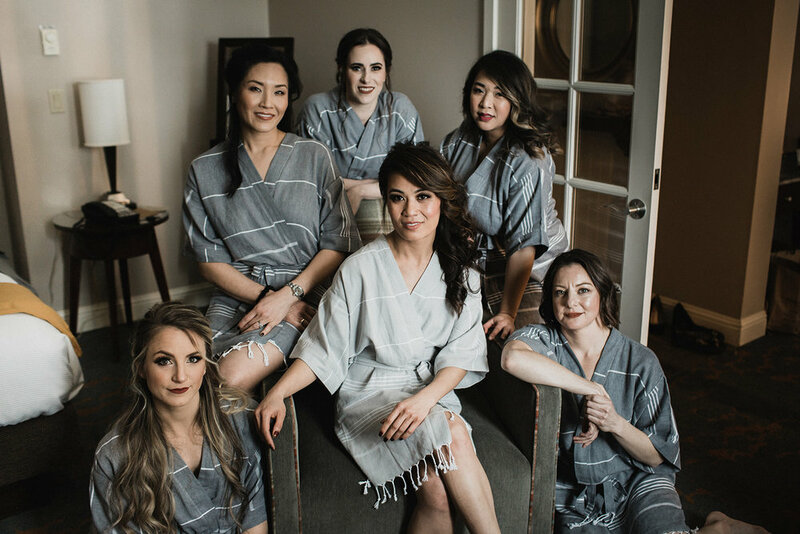 We are always big fans of a lounge area at a wedding, this one doubled as the Photo Booth area and as it turned out, offered the perfect backdrop for these badass bridal party portraits! This totally gives us all the Vanity Fair vibes! Why have one wedding cake, when you can have six?! Seattle cake shop favorite, Deep Sea Sugar & Salt provided six incredible cake flavors to keep guests happy all night!